Donald Trump’s Cabinet picks have elicited plenty of criticism from Democrats: climate change denier Scott Pruitt, the pick to lead the Environmental Protection Agency, is a target for environmental groups, while other picks like financier Steven Mnuchin for treasury secretary have raised the ire of anti-Wall Street progressives. 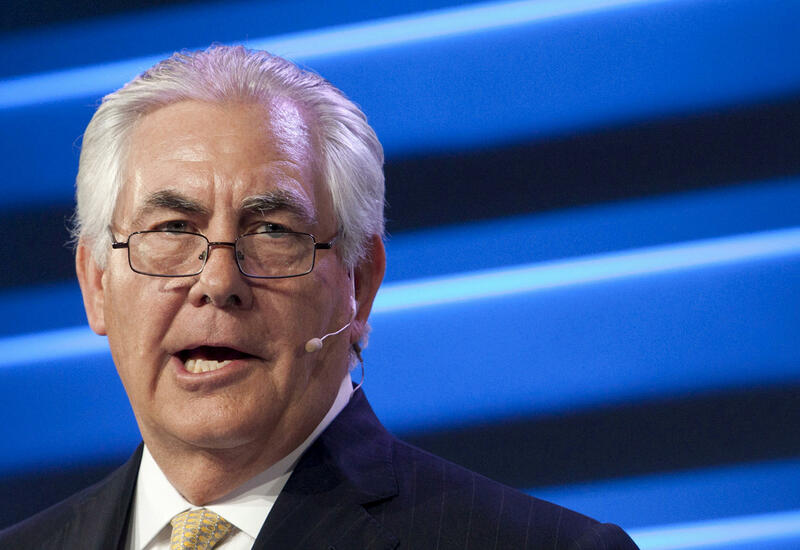 But with the news that Exxon Mobil CEO Rex Tillerson is Mr. Trump’s choice for secretary of state, there is some criticism coming from within his own party. Tillerson’s nomination is drawing bipartisan concern in the Senate -- some are suspicious of his long relationship with Russian President Vladimir Putin. Tillerson and Putin met in the 1990s when Tillerson was working for Exxon in Russia and Putin was a KGB operative for President Boris Yeltsin. “Because of his oil background, he might find himself in a conflict of interest when he supports a lifting of sanctions, for example,...that would help his business ties,” said Marvin Kalb, a national security expert with the Brookings Institution. Tillerson’s 2.5 million shares of Exxon stock could be raised during confirmation hearings -- 1.8 million of those shares are not vested and cannot be sold now. Should sanctions be lifted, Tillerson’s Exxon stock would benefit, given Exxon’s deals with state-owned oil company Rosneft -- all put on ice when the U.S. and Europe sanctioned Russia over its intervention in Ukraine. Some Republican senators have not shown much enthusiasm for Tillerson -- which could slow his confirmation process. Senate Republicans have a relatively slim 52-48 margin in the Senate next year -- meaning that if Democrats vote against Tillerson, even just a couple of Republican senators who oppose him can scuttle his nomination. Some of the most vocal opponents to a possible Tillerson cabinet pick include the senators on the Foreign Relations Committee -- the body that has jurisdiction over the secretary of state’s nomination. Fellow committee member Rand Paul, R-Ky, is reserving judgment on Tillerson, but he denounced the man who would likely accompany Tillerson as deputy secretary of state: former U.N. ambassador John Bolton. On “Face the Nation” Sunday, Sen. John McCain, R-Arizona said Tillerson would get a fair hearing, but he has reservations about Tillerson’s Russia ties. Likewise, Sen. Lindsey Graham, R-South Carolina, in an interview with the Washington Post, pointed at an award given to Tillerson by the Russian Kremlin two years ago. Not all reactions in the Senate to a potential Tillerson nomination are negative, though: Senate Foreign Relations Committee Chairman Bob Corker, R-Tenn, who was also considered for secretary of state, defended Tillerson. Newt Gingrich, a Trump supporter, also made the argument for Tillerson. During a Monday “Fox & Friends” interview, Gingrich, who has voluntarily taken himself out of the running for a Cabinet posting, described Tillerson “as good a catch” Trump could get for secretary of state. Though Tillerson’s Russia ties could cause problems for his nomination, Max Stier, president and CEO of the Partnership for Public Service, said it is “not unprecedented but still unusual” for a Cabinet pick to be unsuccessful. In the last four decades, five Cabinet secretary picks have withdrawn their names after being nominated, according to congressional archives. Only one -- John Tower, George H.W. Bush’s pick for defense secretary -- has been rejected by the Senate.